making a healthy banana cake. So on January 20th 2013 I gave up sugar. And about 2 weeks ago I gave up coffee. And just over 1 week ago I gave up drinking wine. I am in awe of what I am being guided to do right now to experience optimum health and well-being, while surrounded by a sugar, coffee and artificial stimulant driven society. I gave up sugar because I discovered the damage it has on the body & skin (check out these 2 blog posts for further info: Are You Addicted To Sugar? & Early menopause or Hormonal Imbalance? ). With mood swings, emotional highs and lows, skin changing and hormonal imbalance I knew I had to let sugar go. But coffee? This came as a complete surprise. 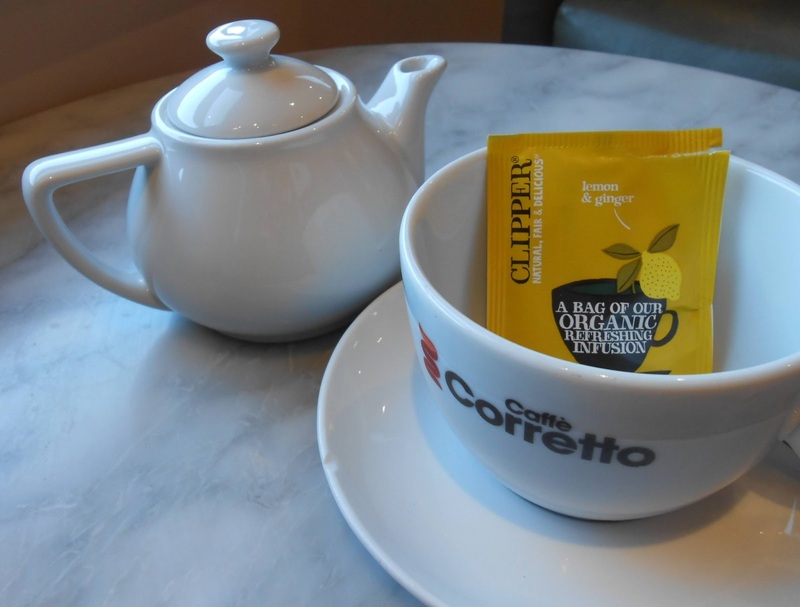 While having my final coffee in a cafe with a friend, my first coffee without sugar, I thought ‘at least I have one ‘naughty’ still in my life.’ Something stirred inside me when I saw her herbal tea. It looked and felt much better for me, but I listened to my mind telling me coffee is much nicer and so I had one cup of coffee at around 4pm. I thought nothing of it until I tried to sleep that night. One coffee and 24 hours later I finally got to sleep. Coffee had messed with my brain chemistry so much I was wired and felt like a rabbit in headlights. I was literally staring into the room the entire night until I decided to go online and surf the net for a few hours. The next day I realised I could not drink coffee again. Not only had it completely disturbed me; it made me realise how sensitive I was to it. Even though I had to have at least 2 cups a day normally, this one day (after 2-3 days not having any coffee) had totally thrown me off balance. And one surprising and pleasing result of giving up the coffee is that my night panics have stopped. For around 2 years now I had been having panic attacks, well they felt like panic attacks, during the night. The doctor could not explain it as it was nothing like a normal panic attack as I was not thinking any stressful thoughts; in fact I was at the most relaxed you could be, in the moment where you are just about to fall asleep. I would then suddenly wake myself gasping for air as if I had stopped breathing. I gave up coffee and I have not had a night panic since! And to add to coffee and sugar, I am now taking a break from drinking wine. I am not sure if I can drink cider. I am yet to discover this but I am taking a break as the tiny bit of rosacea I have on one cheek on my face came out in the thickest whitehead rash I have ever had. This was after 1 glass of wine. Somebody has recently told me organic is better, not so many chemicals in it. I may try it sometime when I have no prior engagements that week as it really messed up my skin. Cider may be okay occasionally, but still not sure. 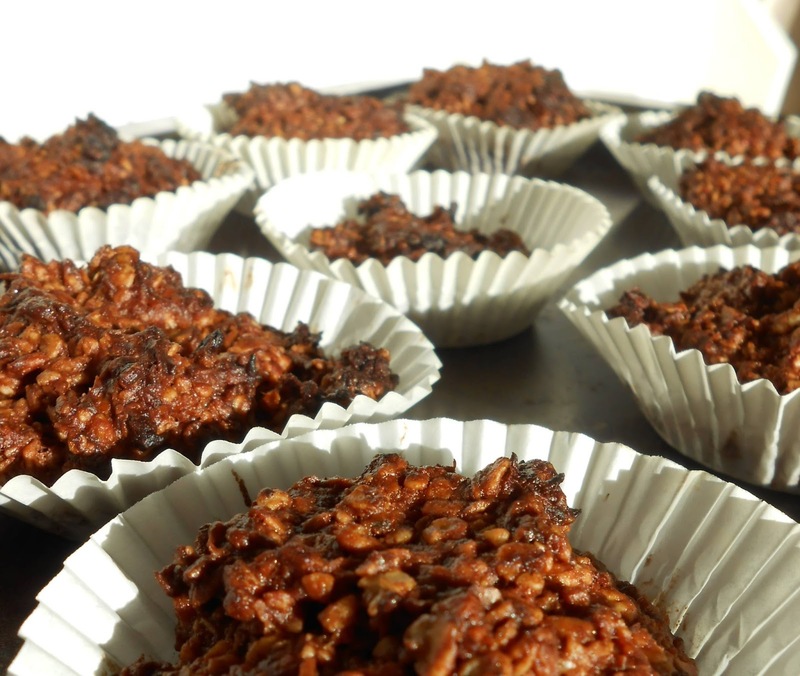 Finished banana cakes (slightly burnt – my first try!). I feel sometimes our bodies are so over-toxified that they are literally screaming for a break, and mine sure was. My challenge will be when eating out, which I will be doing in March when visiting family. I have reduced my intake of refined flour and eat mainly brown rice and wholewheat pasta when I have carbohydrates now, mainly because white refined flour can cause blood sugar spikes much like sugar, not to the same degree but they do nevertheless. Also there is very little nutrition in normal refined flour so I am using Kamut and Buckwheat flour instead. 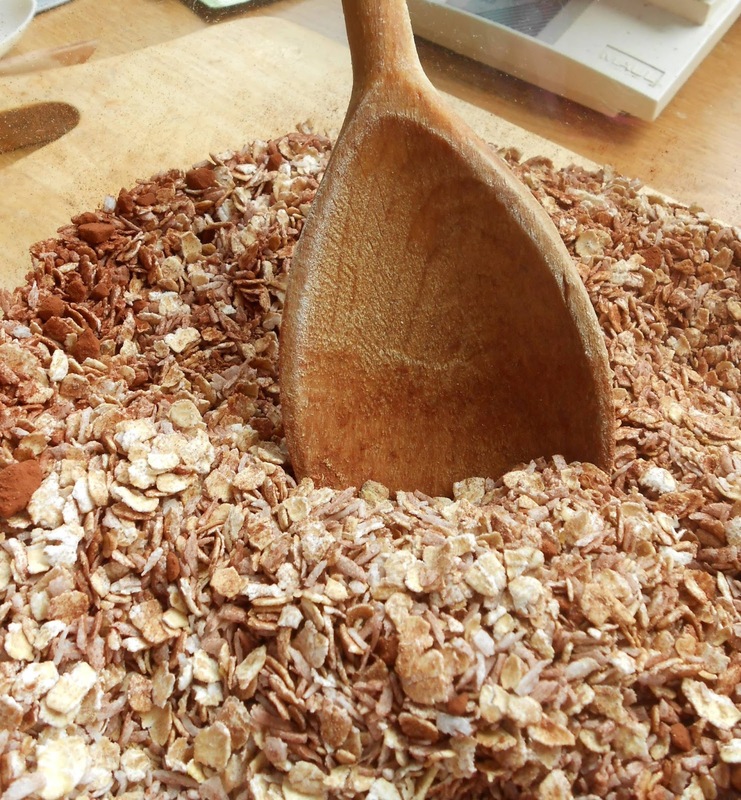 Kamut for bread and other baked goods and buckwheat for breakfast pancakes. 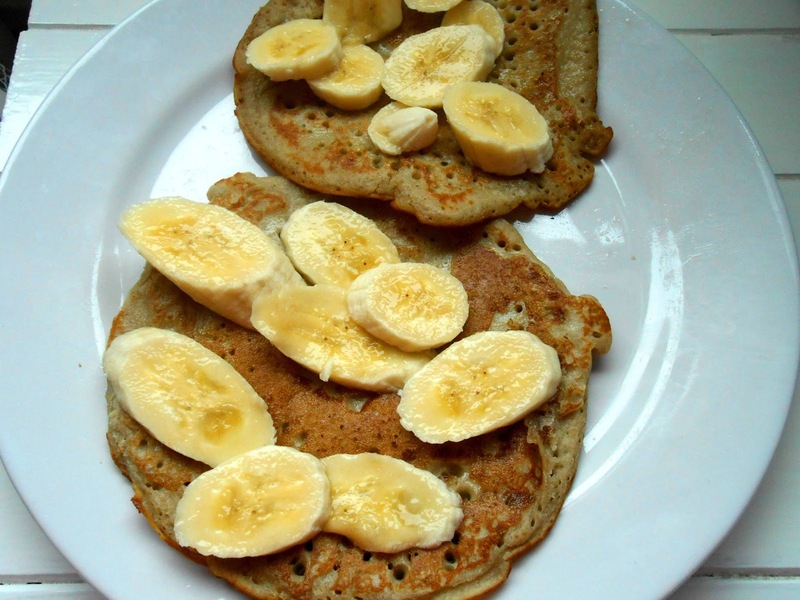 Buckwheat pancakes, smothered in butter and banana. My cows milk intake has gone down too. I have never felt that having a lot of cows milk is good for me – it’s not good for the sinuses and it doesn’t make sense. Cows ween their calves off the milk at a certain age yet we still consume it, not surprising that so many people have lactose intolerances nowadays. Instead I found a wonderful milk called almond milk by Almond Breeze. I bought the unsweetened version but they have other products too. I used to have rice milk and soya many years back when I was vegetarian. I did feel better not having cows milk, but these products (especially rice milk) have very little nutrition in them. And with cows milk the body finds it really difficult to absorb the calcium from the milk, far better to eat green leafy vegetables and have almonds for a source of calcium than cows milk. I guess we have been brainwashed to think ‘cows milk is white so it must be good for the bones’ but its simply not true. Instead of these changes being difficult, I now see it as an exciting challenge to find alternatives. I realise that my way of eating now is growing very close to the Paleo diet . Not fully as its quite an expensive diet, but most of the way I eat and drink is leaning more towards it. And because it is so close to the paleo (who knows I may go full paleo when I am able too), there are numerous healthy food and beverage choices for me now. I do miss coffee and cream incredibly, and I do have some work to do on this, to release the attachment, but I have seen some no-sugar hot chocolate recipes online that include pure cocoa, coconut milk and dates, so I hope to try this soon. All-in-all it’s been quite an easy transition. I am not sure how, perhaps I was just fully ready, perhaps I just felt so strongly that I wanted to be hormonally healthy that I would make this change easily, or perhaps my inner self, my spiritual self is helping me release any cravings, who knows? All I know is I am doing the right thing for me right now. So it’s nearly 1 month on and how do I feel? I feel a lot less anxious, no night panics, less hormonally challenged (not fully balanced on this yet but hoping that as I continue my new eating plan this will change), my skin feels firmer and an extra bonus is that I have lost around 8lbs so far and this was not intentional. I would love to get to 11stone as I feel this would be an ideal weight for my 5’10” height. Would I recommend a detox journey? Yes. If you suffer from anxiety, hormonal imbalance, are overweight, have skin issues, this could help you a lot. Anything you think you couldn’t do without is generally what you need to let go of and stop consuming. Our addictions and food obsessions are red flags for the body. We have internal resources for a healthy balance; we don’t need coffee for artificial energy boosts. Without coffee our bodies give us more than enough energy to live day-to-day. Good healthy food full of nutritional value gives you the correct form of longer term energy. Sugar is highly addictive and damaging to the body, dulls the senses too, especially over time. So for me it was no brainer. I chose health above short term satisfaction. Good luck on your own personal detox and let me know how you get on.